Sentran Corporation is a US manufacturer of solid and split busbar current transformers, revenue grade current transformers, shrouded split current transformers and transducers, toroidal transformers, voltage monitors and current switches. 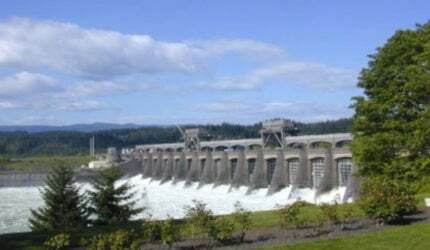 Sentran is located 75 miles from Bonneville Dam on the Columbia River, between Washington and Oregon, US. The dam has been providing electrical power since 1938, while Sentran has been in business for more than 21 years, providing electrical sensors. Our mission is to play our part in conserving critical electrical energy consumption. With hundreds of high-quality electrical current transformers and voltage monitoring products, we support monitoring, control and conservation of the electrical supply. Our sensors and transformers support critical instrumentation and SCADA systems by providing accurate electrical sensing. High-quality current transformers and voltage monitors are available with fast delivery for data acquisition instrumentation. Sentran has indoor and outdoor current transformers for residential and industrial energy monitoring instruments, process control systems, electrical distribution systems and pad mounted transformer vaults. We also supply instruments for HVAC, SCADA, large computer server installations, primary and secondary metering, residential metering, airport electrical backup systems, fault recorders, breaker trip detection and ground-wire current detection systems. All products are designed and manufactured in the US using unique universal plastic moulding and manufacturing techniques. Safety testing has been completed to both UL recognition and UL listing. Testing and evaluation is carried out for CE Marking on all products.